The church was built in 1956 on land acquired the previous year and was formally opened in January 1957. 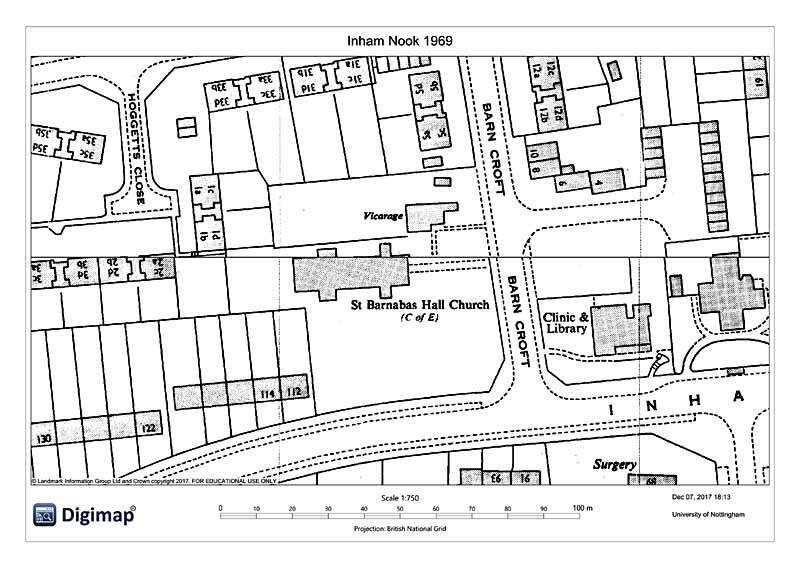 The building was constructed as a church hall and was still being marked as St Barnabus Hall Church as late as 1969 on the OS mapping. 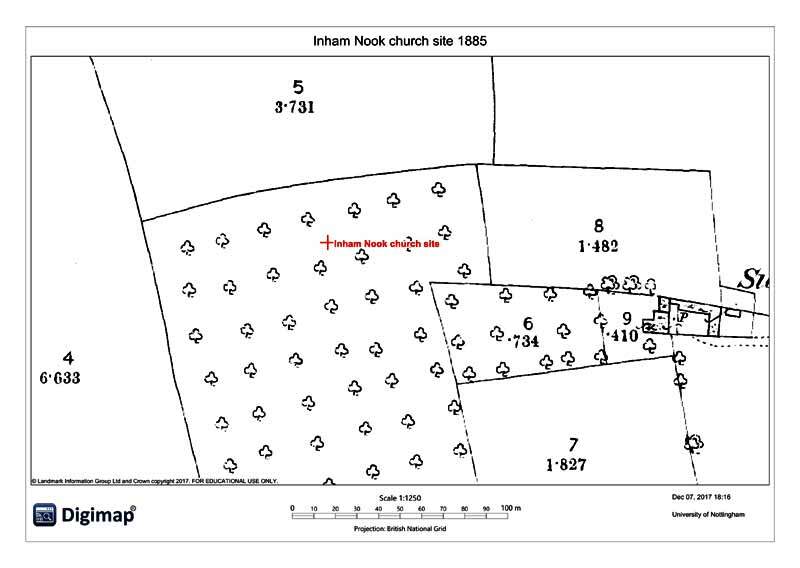 Prior to construction the land was open fields (1956) to the north of the recently built Inham Road. In 1938 the land was also agricultural fields belonging to Sunnyside Farm which lay 180 m to the east, but in 1914 and back to 1885 the OS mapping shows the area to have been occupied by orchards. Earlier, on the 1835 Sanderson map, the location of the church is in fields belonging to Wheatgrass House and trees are indicated. The plan comprises a central rectangular block mainly occupied by the church hall and lounge, with various meetings rooms adjacent. To the south is an additional block with an entrance hall, a further meeting room, toilets, and a kitchen. Periods of construction were 1956-7, 1980, and 1999.